To learn more about Bodwell High School, watch our short video. 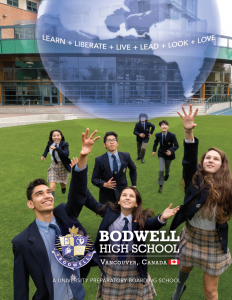 Bodwell High School is a Canadian private co-educational boarding school, offering grade 8-12 instruction, and university preparation. 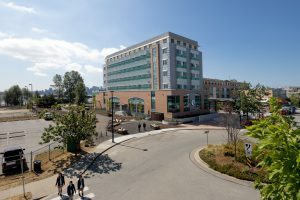 Founded in 1991, Bodwell High School is situated in a picturesque corner of Vancouver, British Columbia. 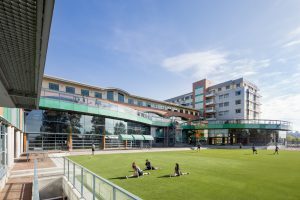 The school is certified and inspected by the British Columbia Ministry of Education and is a recognized leader among Canadian boarding schools. 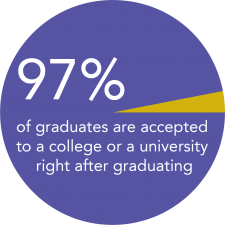 Most Bodwell graduates (97%) successfully enter universities, and many of them receive scholarships. While striving to fulfill the main purpose of education – attainment of academic knowledge, Bodwell also focuses a lot of attention on students’ physical, aesthetic and cultural development so as to mold students into well-rounded, balanced, young adults. For Admission details, prices, and other information about the school, please contact Bodwell Admissions, or one of our education representatives in or near your city. "Thank you for taking care of my daughter, Irina who spent four wonderful terms at the school. Words can’t express my enormous gratitude to you as a parent. My daughter attended classes with pleasure – thanks to the teachers. She had fun and it was interesting for her to spend weekends and vacations at the school. She lived in a clean room, ate delicious breakfasts and dinners – thanks to the cooks and the technical staff. She has made a lot of friends from different countries – thank you to everyone at the school." Bodwell's university guidance & career team has developed strong relationships with many post-secondary institutions. 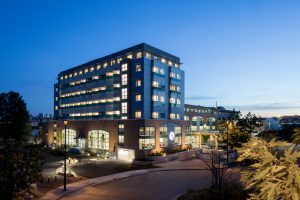 Through one-on-one counselling, workshops and presentations, they support students in selecting and applying to universities and colleges across Canada, the U.S.A. and around the world. 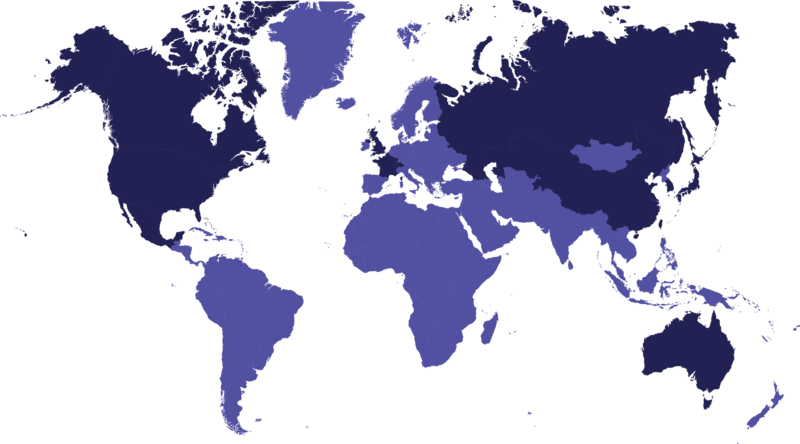 In 2018, Bodwell graduates received offers of admission from 87 universities and colleges in 9 countries. Bodwell High School’s curriculum is carefully verified, meaningful, diverse, well-balanced and, most importantly, promotes harmonious personal, intellectual, and physical development. 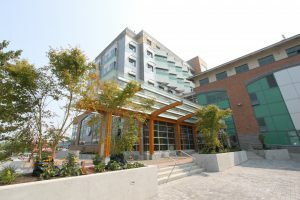 Bodwell constantly ensures improvement and adherence of its curriculum to the standards of the British Columbia Ministry of Education. Committed to innovative education, Bodwell provides all students with laptops optimized for academic research, which includes essential software like Microsoft Office 365 and Adobe Creative Cloud. Our dedicated IT team provides comprehensive support, as well as scheduling and monitoring high-speed Internet for appropriate content. 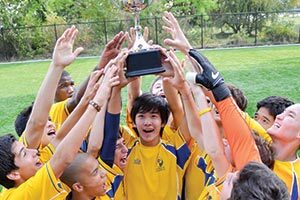 All students are required to participate in extracurricular sports and other activities. The school organizes a large number of cultural and recreational events which include outings to theatres, sports competitions, excursions to different cities in Canada, etc. All students attend three hours of enrichment classes every Saturday morning, on top of 30 hours of academic classes Monday to Friday. Students enrol in a Saturday course each term in one of the following areas: -English Enrichment -Global Citizenship -Career Exposure -Outdoor Education & Sports -New Media and Performing Arts. Students are guided to select and register for Saturday courses each term, which are included in the report card. 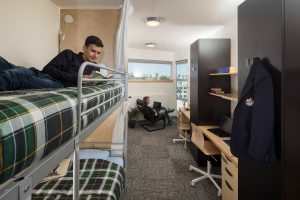 Students live in onsite dormitories. (designed for more than 500 people). The rooms (3-4 person capacity) have spectacular views of the mountains and the bay. 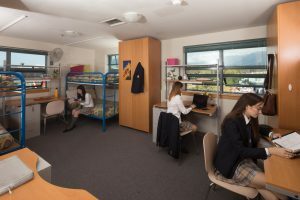 Girls and boys live in separate sections of the dormitory under the constant supervision of youth advisors. 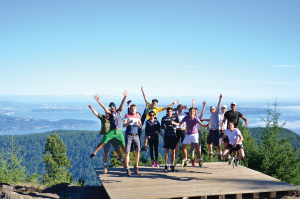 Our boarders gain skills for life in three areas: self-care, interpersonal skills, and leadership. All new students start in boarding. Upon completion of the Boarding Program, students may apply to move to a Bodwell homestay. 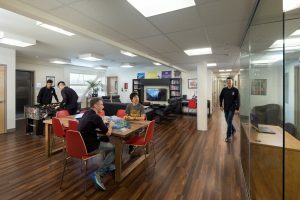 Homestay program – Another accommodation option following time in boarding is staying in a homestay with carefully selected Canadian families, where the student is given a full room and board in a private room. 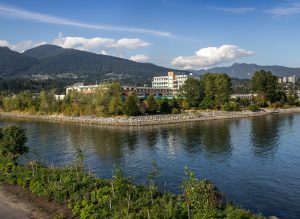 The City of North Vancouver is a safe and friendly community with a rich cultural heritage and numerous places of natural beauty. It is surrounded by spectacular mountains in the north and picturesque beaches in the south. The campus area of 70000 square meters overlooks the sea and is close to city parks. 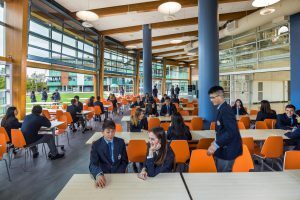 Modern facilities with an indoor swimming pool, 2 gymnasiums, 2 lecture theatres, 2 cafeterias, science labs, a library, and a music room, Bodwell also features the latest technology with all classrooms equipped with either SMARTBoards or high definition TV screens.